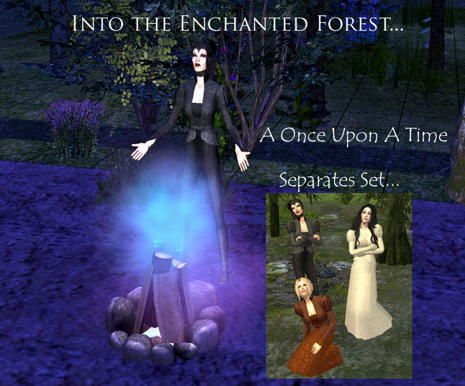 My latest contribution from over at the Plumb Bob Keep - the gift of more Once Upon a Time themed stuff! 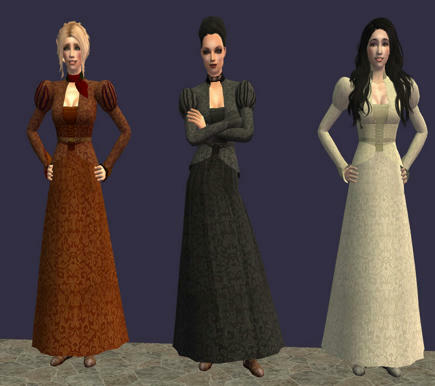 Recently over at Garden of Shadows there's been a flurry of Sims 3 conversions for their Valentines February theme. One of my favourites was this new gorgeous jacket done by Pudding! It looks good with pants or breeches, as you can see. 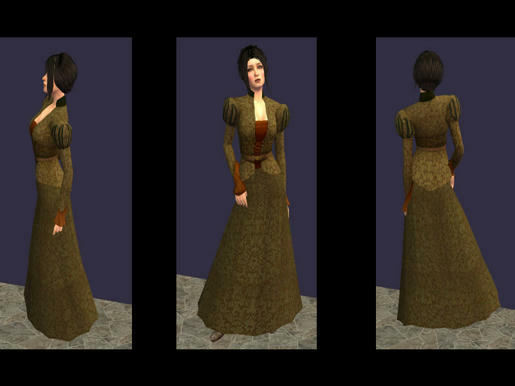 The absolutely amazing Celestial Spider over at PBK is working on a gorgeous mesh for the hunting habits you see in Once Upon a Time, but as a stop gap, here are some suitably coloured skirts, breeches and tops with some bonus Regina accessories. In addition to this, I did a version in black, for post Evil-Queen style. 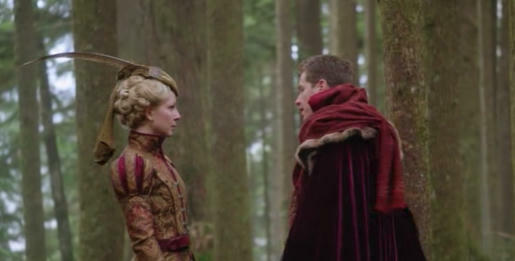 I refuse to believe Regina wouldn't have this gorgeous outfit made up in black. It comes with both matching skirts on Skell's medieval skirt mesh, and two hastily recoloured "breeches" from Migamoo's booted leggings mesh. I also noticed a superb hair and face make-up combo over at MTS by alexasrosa, on a fantastic set known as "The Furies". The Alecto stuff is almost perfect for Regina! 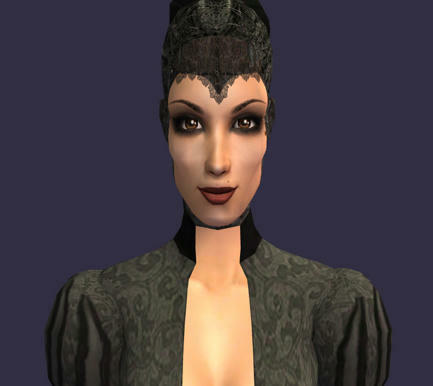 Whilst I've tweaked the face make-up to provide the lace cowl thing Regina wears as Evil Queen, the only thing I've done with the hair is change it from purple to black. Basic recolour so nothing fancy, texture credit entirely to alexasrosa. All meshes included.